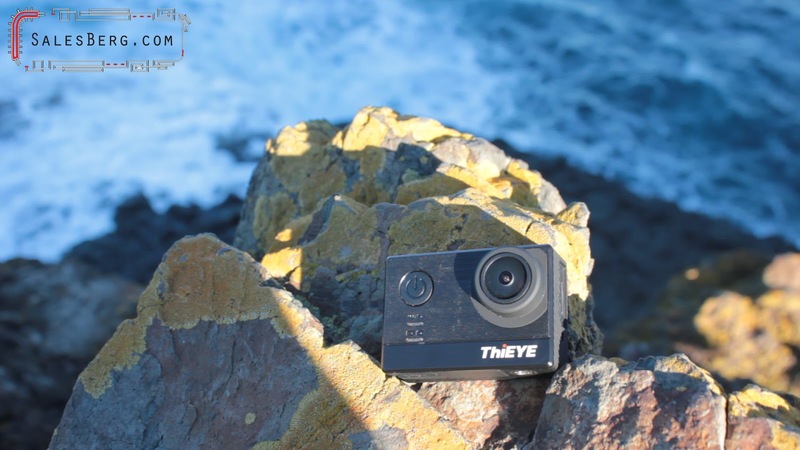 In this article we will look at 5 relatively popular budget action cameras that are capable of doing 4K video. Each one of these camera is using the Ambarella A12S75 Chip. However, they are different in their own ways. They are built differently and comes packaged with different items and has different price tags. Thus different camera will appeal to different potential buyer for different reasons. Lets start with the inclusions. The least in this category is provided by Mijia mini. They basically ship out the camera with a micro usb cable. Not even the waterproof case is included. If you need anything else, you’ll have to purchase them separately. Going up slightly is the T5e with a waterproof case, an extra battery and one set of mounting hardware. The three others have have box full of accessories. Some notable items being, V8s comes with a mini tripod, a charger, and a remote is also included. The Firefly comes with a lens hood and detachable lapel, which of course the camera body cators for. The SJ7 comes with a mounting frame that is more user friendly and two different back covers for the touch screen for different diving depths. by the SJ7. Its frame is made using aluminum and the overall construction is exactly what we would expect from a premium device. As far as construction is concerned, while the Mijia mini has a plastic body, it is made very nicely and does not feel like a budget product. The V8S’s front panel is brushed aluminum but the remainder of the body is made of plastic. The Firefly and the T5e are on par as far as the construction is concerned. Nothing wrong with the plastic body they have, and I am not at all saying anything negative. Just to make one thing clear, the T5e looks like it has aluminum front panel. It is plastic. Sj7 and V8s does not have a tripod mount while the other 3 does. Operation - Most would find the Mijia Mini and the SJ7 to have the upper hand as far as ease of use goes. They have different layout as far as buttons are concerned, and they both rely heavily on the touchscreen for operation of the camera. The SJ7 does have a slight advantage here because it has more buttons complementing the menu operations. Next is the Firefly 8s, while it does not have touch screen, the menu system is the easiest to work with, and the buttons are logical in relation to the menu. The T5e menu was a little less easy to work with but the worst was the V8s. You have to press the menu button 6 times then action button once to get to the menu. 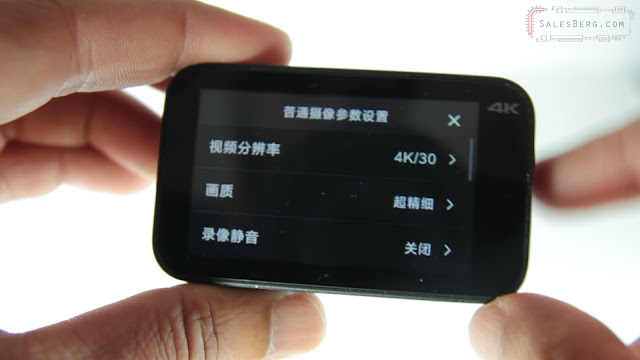 And the menu is equally less friendly to use with the 3 three buttons this camera has. Its Dreadful. One more thing to talk about, and that is the internal components. I’ll touch upon the battery first. The biggest battery in all of these cameras was in Mijia Mini. At 1450mAh. Under test condition it performed well and recorded 4K video to 1 hr and 15 minutes. Which is very good. SJ7 and Firefly both managed close to 1 hour of video in 4K, which is great considering the battery in the SJ7 is the oldest and most used in this collection. I do not have a figure for T5e as it died during its original review, but it did well as I remember and battery life was not a major concern at the time, plus they shipped two batteries just in case. Lastly, the V8s. The poorest performer in the bunch as far as battery life is concerned as tested during its review. This camera at the time of making the video is also dead but for a different reason. As mentioned earlier, Each one of these camera is using Ambarella A12S75 chip as its CPU. What this CPU allows these cameras to do, among other things is to record in Ultra High Definition or UHD with resolution of 3840 x 2160, we can loosely refer to this resolution as 4K. 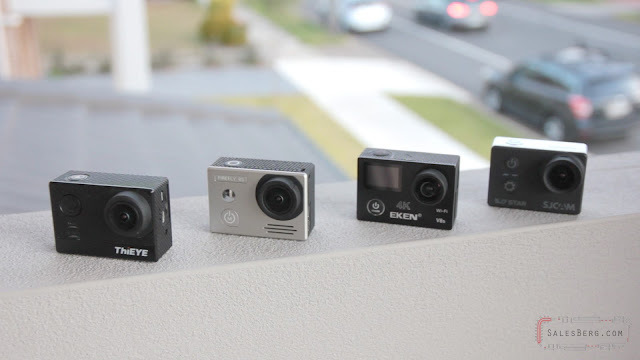 Each one of these cameras do Electronic stabilization, except there is a limitation of the chip. It can only stabilize video up to setting of 1920 x 1080 at 60 fps. The exception here is the Eken V8s. Which has stabilization for every video setting including the 4K, but it is always on as well. Now lets talk about the video quality. I’ll start with Eken V8s. With a good reason. You see, the V8s is the only camera in the bunch that does stabilisation at 4K, but with a trade off. The cpu can only handle so much, some how Eken got the CPU to process the 4K video encoding while at the same time running the stabilization process. The result therefore is poor video quality. Some ventured to say that this was due to the lens used, but its not the lens. The file generated has, 3840 x 2160 @ 24fps at about 60 mbps, the problem is when we play this video it looks like its been compressed rather severely. I have seen some videos in YouTube calling this good quality video, they either are unable to compare with a good quality 4K video, or do not have a 4K display system or worst, they are paying lip service to the manufacturer. Anyone who has seen a 4K video play on a 4K display will not find what comes out of this camera praise worthy. Next each one of the 4 cameras are very close in performance as far video quality goes. Yes there are some differences, but we will have to split hair to tell them apart. Sj7, Firefly 8S and T5e uses the Sony IMX117 sensor, while the Mijia Mini uses a IMX317 sensor. This sensor has some advantage in terms of Dynamic range and low light performance. Again, to tell them apart is difficult. The V8s sales page refers to MN34112 sensor and the manufacturer told me its a Panasonic sensor. Though after asking repeatedly they did not confirm which model the sensor or the chip was. Its a shame what they did to V8s, I like Panasonic sensors, they are tuned to be slightly warmer which is nice especially during sunset. Now about the stabilization. All of the cameras have stabilization, but as mentioned earlier, with exception of V8s, all of them are limited to Full HD resolution at 60 fps. 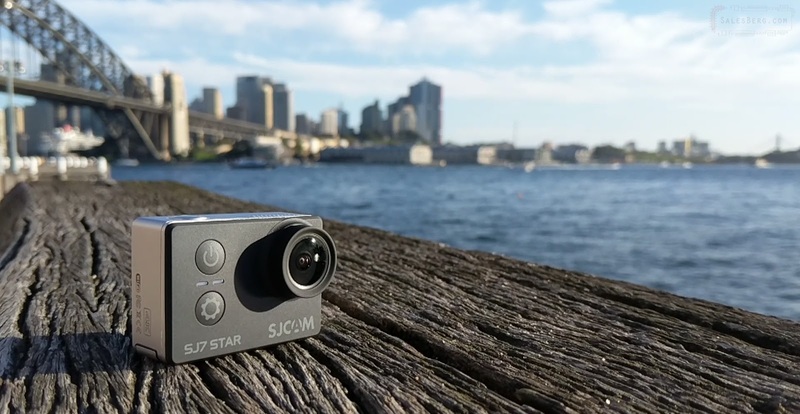 So if you are after stabilized video, you are better off buying a SJCAM SJ6. Till date it happens to have one of the better in camera stabilization system. And it can produce a decent QHD video at 30 fps stabilized. SJCAM in general has their Gyro system tuned nicely. Firefly and T5e does the job decent enough. Mijia Mini, while boasting a 6 axis stabilization system, at times i found it to be jumpy. Next we look at slow motion. Again lets start with V8s simply by saying, it does not have any, no slow motion in V8s. Next is Mijia mini. From the remainder of the cameras, Mijia mini has the odd 200fps at 720p and 100fps at full hd. The other three cameras have 240 and 120 fps settings. There was another issue identified during the test. At 200 Fps the video quality is not exactly sharp. There appears to be more pixelation than what a 720p video should have. Possibly some thing that could be tuned via firmware update. It is doubtful if Xiaomi is interested in updating the firmware. The remaining three, T5e and Firefly 8s and Sj7 all produce about the same result and they are clean enough to get the job done. Video quality in general I’m happy with four cameras leaving out the V8s. The fact that 4K can not be used with stabilization remains a issue that I could not come to terms with. If held still or on tripod, the 4K video is good enough. By no means is the video quality any close to lets say what a GH4 would generate, but yes, its 4K and reasonable. Now let's talk about dependability. This is a more involved issue to cover but a critically important one if you are considering purchasing any one of these cameras. First I’ll start with T5e. 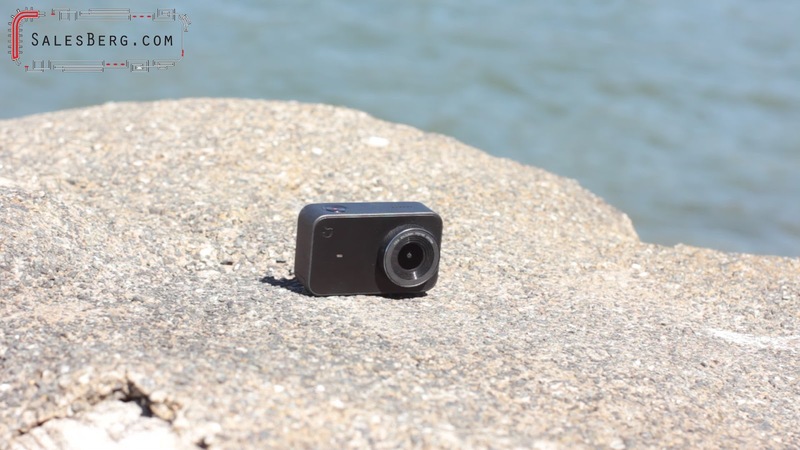 This camera died because the waterproof housing leaked at 1 meter depth. That was the end of that camera. The case was tested later, and the leak was confirmed. I thought at the time that the manufacturing issue was once off, I just got the unlucky piece. But since I have seen other reviewers point out similar issue. Next was V8s, Nothing was wrong with the camera’s reliability as such. The camera worked. I took it apart to confirm what CPU was being used since at the time of reviewing, Eken did not tell me the CPU used. Which came across as rather suspicious. Easy way or the hard way. I'll have my answer. Xiaomi presents an interesting case here. The camera works fine and the manufacturer is well reputed in general. Possibly the biggest company in this group by a large margin. At the time of reviewing the camera and at the time of making this video, Xiaomi does not have the Mijia mini on their website, you can not search for it. There is no official support page for this product. There is a firmware update floating around in the internet, I’m not sure who wrote it. Mijia mini is a good camera from a great company that wants nothing to do with their own product, I’ll tell you a bit more about it in a moment. While I do not know too much about background or history of Hawkeye, I have come to trust its reliability. The camera turns on upon request, does what I need it to do, and thank you very much, no fuss, no complaints. For this reason I have been carrying the camera with me more so recently and underwater shots and so forth comes out a treat. It's proven itself to be reliable. SJ7, well, I have personally used SJCAM products for years now. All of their cameras still work, even the oldest one. 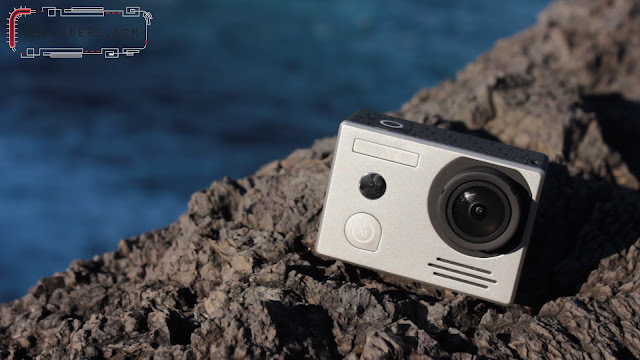 SJCAM releases firmware updates frequently and continually improves their product. I have often praised their efforts with their online activities. So recently I did a test. I wrote emails to each one of these companies saying that the camera shuts off while recording. And the order in which I received the reply was as follows. Second email came from Hawkeye. They offered two solutions that is to reset settings and to format the card. 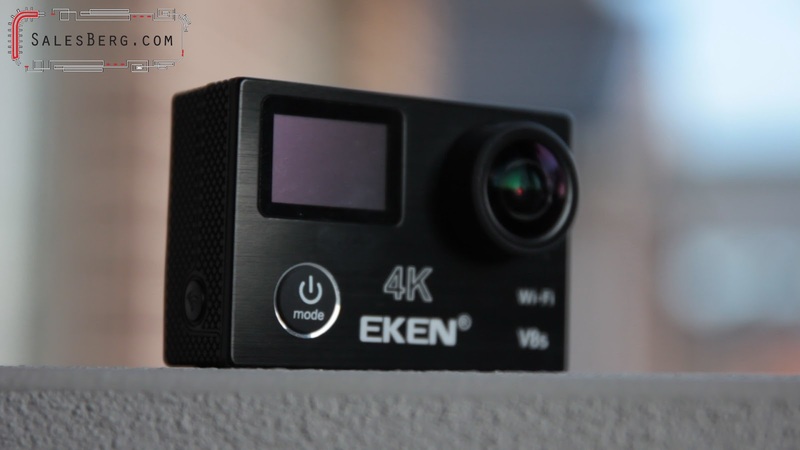 "T5 have a good performance on 4K Ultra HD video recording , So the wirte and read speed of the Micro SD card must relatively high , We highly recommend using the Micro SD Card with U3 mark, Such as Sandisk Extreme UHS-I U3 64GB, Sandisk Extreme PRO UHS-1 U3 64GB, Lexar 1000X UHS-II U3 64GB, Sandisk Extreme PLUS UHS-I U3 and so on . Format the micro sd card in camera before using We recommend the tf card as the attachment show . 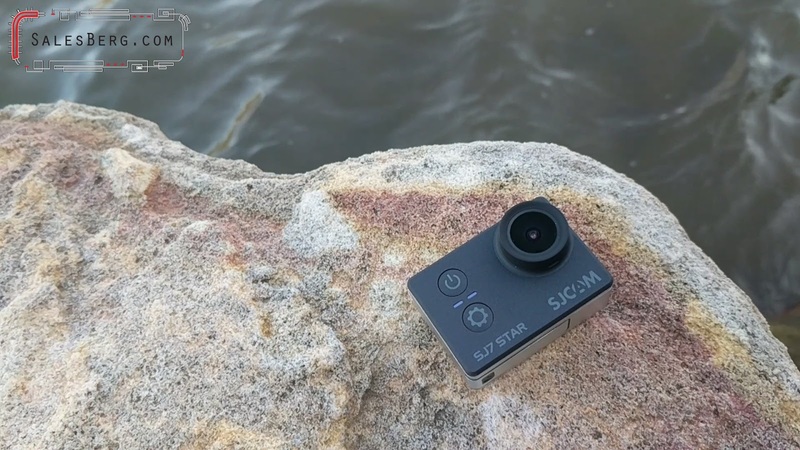 More questions please contact us"
Last reply was from SJCAM That said - "Would you please take some pictures or make a small video to show the detailed problem and send us for checking and confirmation? By the way, may i ask you where you bought your camera? please give us order number to check if it is purchased from our official web shop. We will try our best to help solve the problem, please do not worry." Here is my thought on this - Xiaomi’s response was uncalled for, they would have done less damage if they did not reply. Now we know, what the situation would have been if there actually was a problem. Eken did similarly as well but not in as many words. Hawkeye and ThiEye both offered some help, and that's a start. I’m of the opinion they would help further if asked. While SJCAMs email came last, from what I could gather this was from a support staff, and instead of closing the door, he actually appears interested “to help solve the problem”. And to tell you frankly, I am not surprised by SJCAM’s reply as I knew they work harder than others to keep customers happy. Its Xiaomi that is the biggest question mark here. How exactly are they building reputation. So what is the take away message in this video. Lets start with Eken V8s, while the company may come up with decent products in the near future, the V8s is certainly one I would leave behind. On top of that, the after sales support could have been better. Next the T5e. Well, I was somewhat happy with the camera till it got damaged by seawater. Since then I have reviewed their newer camera, the E7 which did not have any leaking issue, but it had its own shortcomings. Please refer to the full review for more info. Then comes the Mijia mini. Its a fantastic camera, well built and most thing about it is good. The price it sells for these days is nice as well. Lack of accessories out of the box, and total lack of manufacturer’s support is what puts a dent on the overall proposition. The SJCAM SJ7 Star, the premium product. If someone is after great build quality, and top customer support, SJCAM is the brand for them. Quality and customer support comes at a price, and in this comparison, the SJ7 is the most expensive of them all. As I record this, the price for the SJ7 is still near the $200 mark. Finally we have the Firefly 8s. After all these time, the only thing that set this camera apart is that quietly, it did not fail on anything. It works as good today as it did the day one. There is nothing really setting it far apart from the competition, except for the fact that there is really not much negative about it (price or function). The price is low and it does nearly everything that all of the other cameras in this list does.